Borussia Dortmund are in danger of losing the Bundesliga title race and crashing out of Europe with goalkeeper Roman Burki demanding improvements in defence after their Champions League battering at Wembley. “I don’t think we are defending at the moment with all our might,” fumed Dortmund keeper Burki. For the third game in a row, Dortmund leaked three goals in Wednesday’s 3-0 defeat at Tottenham Hotspur in the Champions League last 16, first leg tie leaving Mauricio Pochettino’s Londoners with one foot in the quarter-finals. “Dortmund’s first crisis: more than just a dent,” wrote German magazine Kicker. Dortmund had no answers as Spurs’ South Korea striker Son Heung-min slipped his marker to volley home immediately after the break as the Germans lost possession in their own half. “A goal a minute after the start of the second half is a gift,” said Dortmund coach Lucien Favre. In a catastrophic final ten minutes, Spurs took full advantage of more sloppy Dortmund defending by scoring twice. As Germany’s top-selling daily Bild put it, “Tottenham sank Dortmund. The quarter-finals are almost gone after the first leg” while magazine Spiegel opted for “Thrown off track with force”. Burly Belgian defender Jan Vertonghen swept in Spurs’ second goal when he got in behind Dortmund’s defence to tap home. Spurs’ replacement striker Fernando Llorente then left Dortmund with a mountain to climb in the return at Signal Iduna Park on March 5 by heading home untroubled from a corner. Without injured playmaker Marco Reus organising their game, Dortmund are especially fallible late on from set-pieces. The Wembley rout had echoes of last week’s 3-3 draw after extra time at home to Werder Bremen which saw Dortmund dumped out of the German Cup after losing on penalties. Worse followed last Saturday where Jadon Sancho hit the post with the hosts 3-0 up on 70 minutes only for Hoffenheim to fight back for a 3-3 draw in the league. 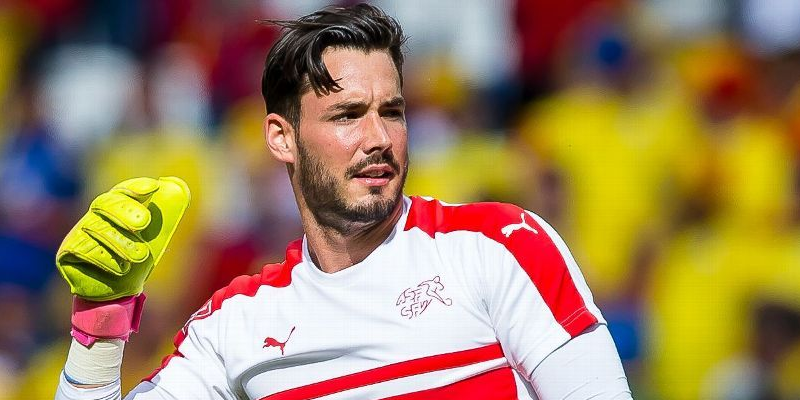 “We have been conceding goals from standard situations for weeks now,” said Burki. “We are just not holding out and have to defend more rigorously. It starts in training. Dortmund holds a five-point lead in the Bundesliga, but with defending champions Bayern Munich snapping at their heels, the next few weeks are crucial to their hopes of a first league title since 2012. They face bottom side Nuremberg next away on Monday, but Dortmund’s match against Bayern in Munich on April 6 has all the ingredients of a title showdown. “Whenever we meet a robust team, we have difficulties because we don’t stand up to them – we have to improve that,” moaned Burki.